AMD’s ultra-high end FX-9000 line of processors has made its way to end-users in both Europe and North America with the former seeing the first such chips sold to clients of online stores. At first this chip line was reserved for select vendors making high-end (gaming) machines but this is no longer the case. While the FX-9000 line has been available to end-users in Europe for a few days now it is just now that US customers see this chips in wide circulation. You can now find them on sites such as Amazon, Newegg, NCIX and TigerDirect. 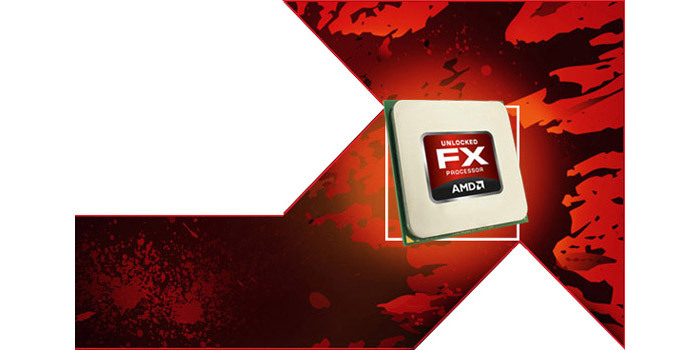 The AMD FX-9370 (4.4 GHz/4.7 GHz Turbo, 16 MB cache, TDP of 220 watts) can now be found for USD 249-299, while the more powerful FX-9590 (4.7 GHz/5.0 GHz Turbo, 16 MB cache, 220W TDP) is now available for USD 399 and up. AMD and certain stores have also started offering these chips as part of bundles that include motherboards, coolers and memory since the high TDP of these chips makes them incompatible with the vast majority of existing socket AM3+ motherboards. This will make it easier for people who want such a chip to rest assured that they get fully compatible hardware with no problems down the road.